The Kano University of Science and Technology, KUST Wudil Admission List (UTME/DE) of candidates who have been offered provisional admission into the Institution for the 2018/2019 academic session has been released. 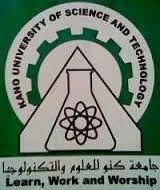 The management of Kano State University of Science and Technology, (KUST Wudil) has released the comprehensive admission list of candidates who are admitted into the university for the 2018/2019 session. The KUST Admission List contains the names of candidates admitted both via UTME and Direct Entry. All candidates who applied for undergraduate admission into KUST Wudil should proceed to check their admission status below. Note: As at the time of writing this report, the Kano State University Admission List for the 2018/2019 academic session can only be accessed via the JAMB Central Admission Processing System (CAPS). For detailed procedure on how to Accept/Reject your Admission on JAMB CAPS, Click Here. Kano State University UTME admission list of admitted candidates for the 2018/2019 academic session has been published on the college’s official portal. Please click on the twitter and Facebook like button to share this information with your friends. please i want to be admitted into KUST,jamb has sent my details to you,tnx nd here is my jamb registration number 56380827AI. When will the second list be uploaded? We will let you know when the second list is out. Please when is the second list coming out please? I have upper credit in my diploma from dentAl health science department school of health technology kano. please should I apply microbiology as direct entry. You are on your way there. Just put more effort in your Post UTME. The article has been updated and you can view the results from the attached document.